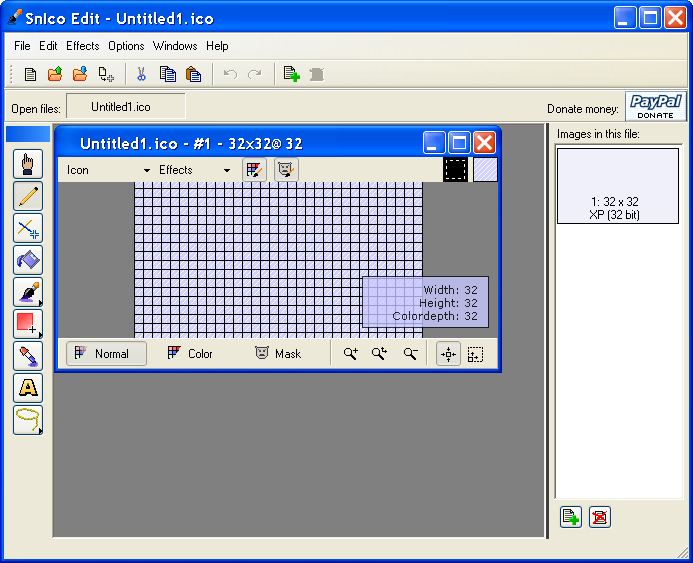 Description: It is an icon editor that supports ICO, CUR and ANI files. It is able to import icons from EXE, DLL, BMP, GIF, PNG, JPG and screen, and export to BMP, GIF, PNG and JPG. It supports many effects such as RGB/HLS adjusting, blurring, rotating and anti-aliasing.